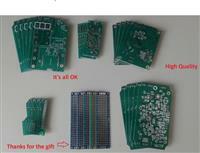 PCBWay is fast, has high quality and cheaper than other companies. I like the site where I can see the progress of the order. This is a signal of an organized company. I recomend it! !